Some of you have written me about trying one of my soap-free cleansing bar recipes and loving it – some of you have written that you are doing your own version and loving it – and it's all GREAT! I'm thrilled that these cleansing bars have taken on a life of their own. (If you haven't tried making one yet you will find an overview of the recipes on this blog right here). Meantime, I've been inspired by Jana who lives in Slovenia and has a blog called Small Bits of Loveliness. She kickstarted an idea that could become huge – as huge as a worldwide cleansing bar conglomerate! Ok, I'm getting ahead of myself – because this idea is nothing without you. "Hi. A few months ago I tried making one of your cleansing bars and was so amazed by it that I borrowed your recipe and shared it on my blog. I hope that's ok :) Unfortunately is in Slovene, but you can still check it out "
I did check it out, and Jana, it is absolutely ok! (And extra yay because Google translate helps make language barriers a non-issue) Above is a picture of Janas lovely cleansing bars that you will find the recipe for right here. 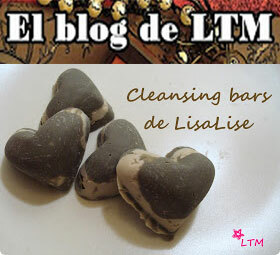 Visit the popular LTM La Tía Maruja in Spain for her version of cleansing bars. Wouldn't it be great if we could collect everybody's version and make an online WorldWide Soap-free DIY Cleansing Bar Catalog? I am envisioning a dedicated page on this blog with links and pictures of YOUR version of these cleansers - preferably on some sort of interactive world map thingy (if I can figure out how to make that part. No promises – but I will do my best). If you are willing to share your experiences, words, and photos to make this happen, then send me your info quick as a bunny and I'll get to work. Please write CLEANSING BAR as the title of the email. Yay Jana! And thanks for letting me share this. Now, take a bow for being such an inspirational person. What a great idea. 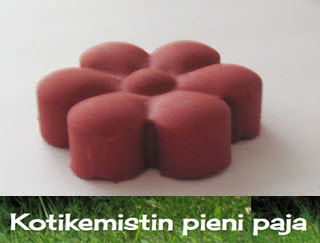 I'll have to get formulating and create a Kiwi (New Zealand) version - maybe with some native plants. Yay!! I can't wait to see what you come up with! 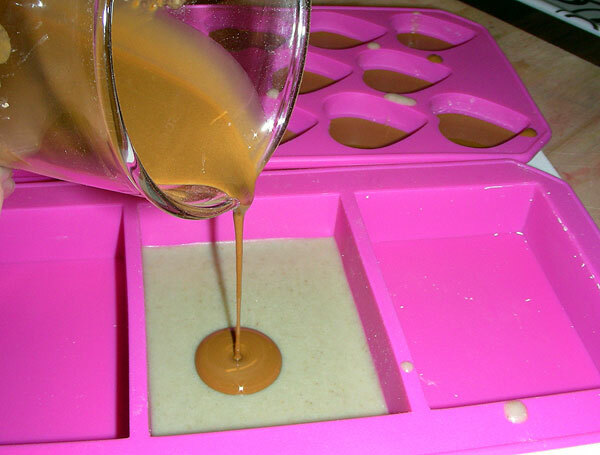 I've decided to use your French Clay Cleansing Bar recipe as my trial run before I create a clay cleansing bar with New Zealand ingredients for your WorldWide Soap-free DIY Cleansing Bar Catalog. VERY EXCITING. 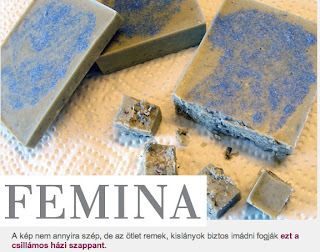 I really liked your French Clay Cleansing Bar recipe. It was fairly hot here the first few days after I made them so they felt a little soft to me but now that we are into autumn the consistency feels just right. We have a variety of lavender here that I'd really like to use in my recipe for your Catalog. It is called "Pacific Blue" and has the most divine scent. I've got a little left over from my pot plants on my deck and will buy some of the essential oi. I'm having great fun thinking up other New Zealand ingredients to use - I may infuse some native herbs in the oil and have recently come across some ground Kauri gum on one of my supplier's websites but suspect it may be a little rough to use on the face. Can't wait to see what everyone else comes up with. Very curious to know more abiut Kuari gum. Do you have any info on this on your blog? Those cleansing bars looks really lovely.. I really wanna try it, but I have a question. Are cocoa butter pore clogging? Many people says that cocoa butter is extremely pore clogging, and some website rated cocoa butter as the most pore clogging ingredient.. I have acne prone skin. You might want to try making a small batch to test and see how your skin reacts to it, but I'm guessing you will not have any problems with cocoa butter - even with acne prone skin. Do let me know how it goes if you decide to give it a try!